About Us – Welcome to Canton Icehouse! 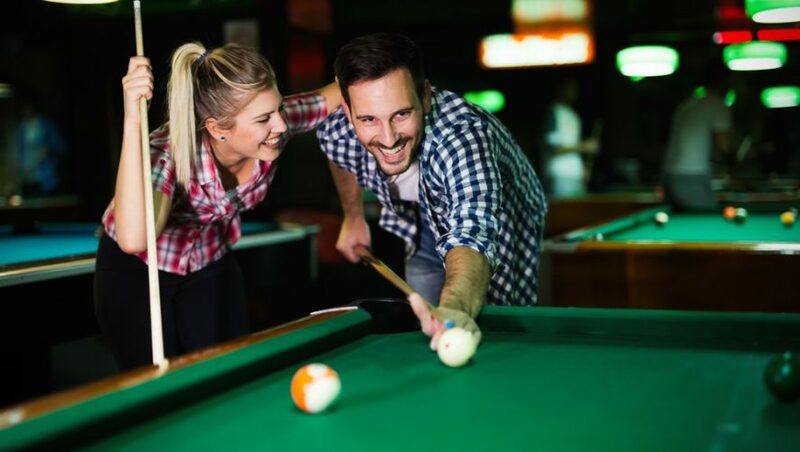 You’re probably asking, “What Is Canton Icehouse?” Canton Icehouse is a 9,600 square ft. adult playground offering you everything for a fun, adventurous and relaxing night out! Although our theme may seem broad, our focus is on your having the greatest experience while you’re our guest. The best part is the employees of Canton Icehouse. Many of Canton Icehouse’s employees have years of experience in their positions. This helps to ensure you get the greatest service while you have the most fun possible. Canton Icehouse is the go-to place to watch all your favorite sporting events. Equipped with 32 High Definition TV screens, you can bet that you can watch your favorite college and professional teams play at any time. Also, enjoy sports like MMA, golf, wrestling, and other specialized events. Whenever you want to watch your favorite UFC event or favorite football, baseball, basketball, soccer or hockey team play, we will most likely have you covered. If dancing to music and mingling is your thing, then you’re in the right place! After 9 pm, the magic happens! Every weekend there will be a live band or a DJ playing all your favorite songs while you dance on our lighted dance floor. If you choose not to dance, then enjoy your favorite drink at one of our bars with all your friends and guests. You won’t have to journey too far to get a drink as we are staffed with some of the best servers whose main goal is to provide you with the best service. Not only does Canton Icehouse provide a fun time, but also offers a huge selection of delicious food! Our chef prepares meals each day in a kitchen held to the highest standards while at the same time focusing on quality, value, and providing a menu that has something for just about every taste. Want a slice of cheesecake or chocolate lava cake? Canton Icehouse even has scrumptious desserts for your sweet tooth! Planning to make your evening an all-nighter? We have late night breakfast for those who plan to party all night! Do you love playing games while sipping on your favorite cold beverage? If so, Canton Icehouse has something for you! The games at Canton Icehouse are unique to our brand. If you loved playing drinking games in college, then wait until you play the games at Canton Icehouse. Play pool on one of our pool tables or beer pong on our specialized beer pong table. If you’re skilled and looking for a challenge, then you’ll want to play “Flick a Chick” or “Rat Race.” We even have an addictive game called “Poop Shoot!” Just try to see if you can walk away from one of our games after you start playing them. Good Luck! Do you love lounging, drinking and dining in the fresh air or while the sun sets? Then you will love our front deck designed for you. Eat your favorite foods and watch your favorite teams play on one of our outdoor TV screens. Spend your day with us or stay all night. No matter what you fancy on your day or night out, Canton Icehouse will most likely accommodate you. We’ll see you at Canton Icehouse! Remember, Canton Icehouse has one primary goal. We want you to have one of the best experiences you can possibly have and want to return as our happy regular customer. You are who matters most to us! Canton Icehouse is open late 7 days a week! Canton Icehouse pledges to sell delicious and remarkable food and drinks. Canton Icehouse sports bar intends for the food and drinks we sell to meet the highest standards of quality, freshness, and seasonality and combines both modern-creative and traditional southern styles of cooking. Canton Icehouse intends to consistently provide our customers with impeccable service by demonstrating warmth, graciousness, efficiency, knowledge, professionalism, and integrity in all our work. We intend to have every customer who comes through our doors, leave impressed by The Canton Icehouse and excited to come back again. Canton Icehouse intends to create and maintain a restaurant that is comprehensive and exceptional in its attention to every detail of operation. Canton Icehouse intends to provide all who work with us a friendly, cooperative and rewarding environment which encourages long-term, satisfying and growth employment. Canton Icehouse intends to keep our concept fresh, exciting and on the cutting edge of the hospitality and entertainment industry. Canton Icehouse intends to be a giving member of the exciting Canton/Cherokee County community. We are located conveniently between Atlanta and the Blue Ridge Mountains. We intend to offer fantastic food and sports on big screen TVs for your enjoyment, lunch, dinner and late night.